The Book That Can't Wait – Eterna Cadencia – YouTube. The discussion begins July 1 in the Forum. Summer Reading Kickoff Hullabaloo at JMRL! 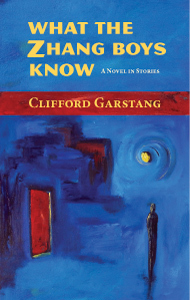 While Second Street is closed on Saturday, June 9, 10am – noon for food, fun, and frivolity, Central Library will have Sign-up for the Summer Reading Club and everyone will enjoy enormous amounts of entertainment. Even adults can participate in summer reading programs. BETWEEN THE COVERS is the adult theme this summer, including special weekly prize drawings, contests, displays and programs especially for adults. Remember, you can open a book and open the world. The theme for the teen program is OWN THE NIGHT. Ages 11-18 can win great prizes as they read, and be entered into weekly drawings for more prizes. 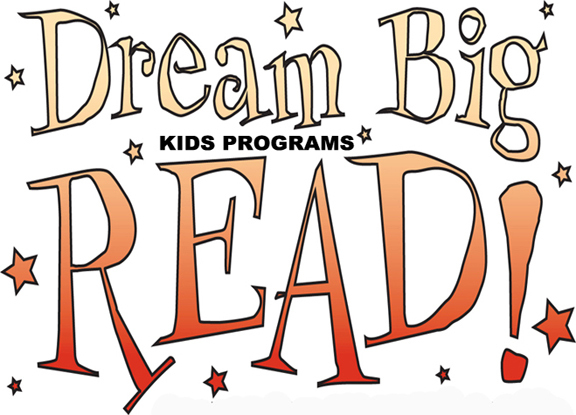 DREAM BIG: READ! is the theme for the children’s program. Kids can participate in the summer reading program and earn prizes for reading or being read to. Whatever your age, there is something exciting for you at the Jefferson-Madison Regional Library. Filed under: books, charlottesville, contests, fun, libraries, reading | Tagged: Jefferson-Madison Regional Library, JMRL, summer reading prog, summer reading programs |	Comments Off on Summer Reading Kickoff Hullabaloo at JMRL! Jim Minick, author of The Blueberry Years, (called “delicious reading” by Naomi Wolf), will discuss what he learned about writing humor while toiling away in the field. 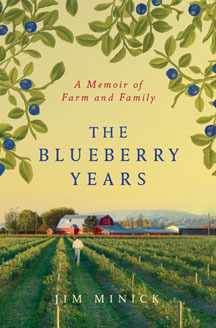 He’ll read excerpts from this memoir about one of the first, certified-organic, pick-your-own blueberry farms in the mid-Atlantic. In every genre, metaphors sweeten the writing, making an ordinary scoop of a sentence into a deluxe banana split. How do you play with language to find original metaphors and see the world anew? We’ll tackle this question in hopes of finding metaphors wherever we look. Likewise, how do writers ride that horse called time and manipulate it without losing control? The diverse ways prose writers play with time, from the micro-level to the macro, will be explored in this workshop. “Stories that Fly“–summer writing classes for 5th-8th graders. 5-6 grades the week of June 18 and 7-8 grades the week of June 25. Depending on demand, more sessions may be added. Teen class details will be available soon. Scholarships available for students from low-income families. For Fiction and Nonfiction writers, this seminar will teach you the tools and techniques of editing, focusing on line editing, refining your prose, and preparing your manuscript for submission. We will consider the art of prose, the importance of sound, and how to construct a paragraph (in particular, a compelling opening paragraph). We will learn to write clear, rhythmic sentences-seeking a balance between lyricism and efficiency — while remaining faithful to your voice. There will be in-class exercises and readings. Ever heard those personal commentaries on NPR stations and wonder how it’s done? Learn the techniques of this performance art: how to grab the listener by the lapels; how to create a mini-movie in the minds of thousands of listeners; how to NOT sound like you’re reading from a script when, of course, you are! At least two students from the winter class have already had their essays aired on the radio! The discussion begins June 1 in the Forum.